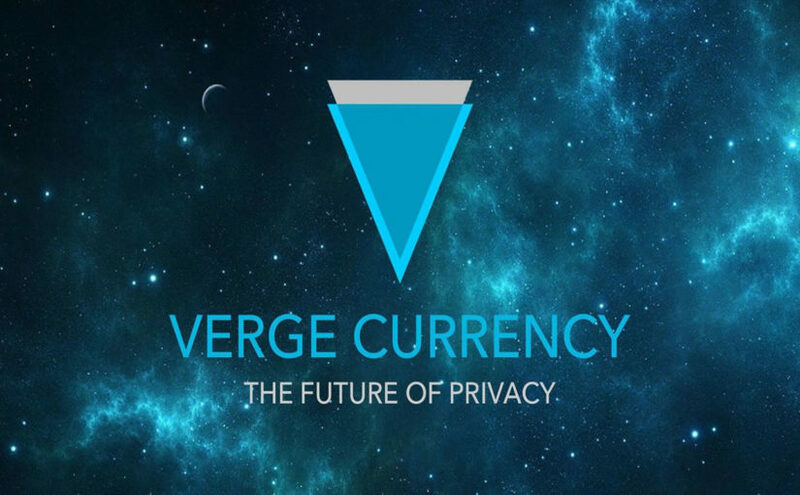 Verge, the privacy coin, has appealed to its active community to help raise 50million XVG to secure its future. With a current market cap of just over $600million, Verge had struggled last year in terms of price and slipped shipping dates for the Wraith upgrade. That infamous tweet by John McAfee, his subsequent retraction (indeed denial of tweets) and then rebuttal by his ex-friend XVG Whale have contributed to a roller coaster of a ride. Coupled with the difficulty of manning a ship without a head the Verge community appeared to be rudderless and without any direction. However, this year, Verge is certainly stepping up to the mark – although which mark is hard to quantify. A trip to the Ukraine for Verge creative director Kareem pushed the Verge coin onto the global fashion radar with international coverage from Ukraine to Italy and Ireland. Next up, Justin Vendetta, co-founder, started making marketing videos and answering questions from the community. Something was afoot. Part of the issue is that Verge is true to its original vision. The founders did not get tokens – they had to buy coin just like everyone else. There was no ICO or pre mining. It is 100% open source. It is not a company – there is no foundation fund – and running a million dollar company without paid employees is tough at best and disastrous at worst. Raging battles on the Telegram channel are well documented. Something needed to be done. There is an inner circle at Verge – apparently. A source from that inner round table reached out to me to say the next few days are critical to the continued success – indeed robust success – of the privacy coin. Anyone watching the alt coins will see a rise in the past week, but Verge is out-performing the rank and file. And the call to donate is being heard. As of recent updates more than 50 million Verge coin has been deposited in the Verge donation wallet. The anonymous source claims that what Justin says in his videos are true. The roadmap items for quarter one 2018 are being met. The new website is days from completion, the Verge merch store is being finalised (with rumours of some pretty interesting merchandise available) and the availability of RSK smart contracts will be delivered (although these are in part dependent on third parties). However, the possibility of a major global payments company adopting Verge may be the game changer. Justin in his twitter video says he is under NDA and cannot reveal the name. Some news outlets have taken this to mean the donation appeal is to reveal the name of company. My source says this is to conflate the news. Verge needs central funding to pay its core workers. Running a coin using only volunteer people is not sustainable in the long term he says. But if there is a new global payments processor willing to take on Verge then it will have accomplished its vision of becoming the cryptocurrency of choice. Mass adoption is the only game in town for cryptocurrency. The donation wallet is going well. We only have to wait a few more days to see if this is fake news or fabulous news. Previous ArticlePitch like a Big Time Movie Producer/Director!